Artículo ​​# 302146 Puntos Stash: 1999 (?) This is the number of points you get in The Zumiez Stash for purchasing this item. Stash points are redeemable for exclusive rewards only available to Zumiez Stash members. To redeem your points check out the rewards catalog on thestash.zumiez.com. 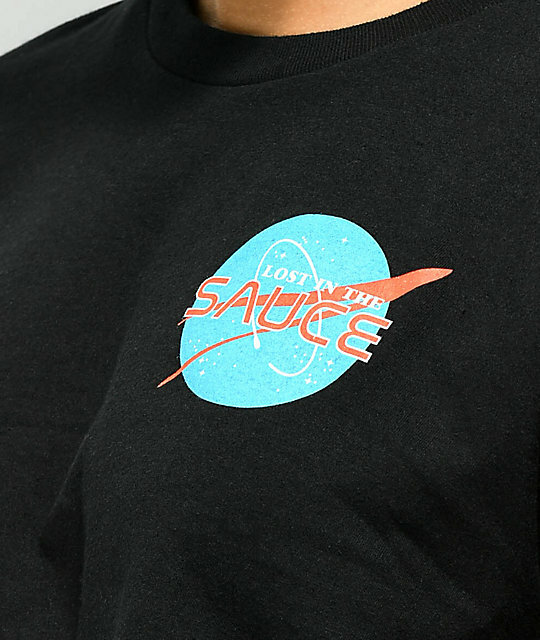 For those who have blissfully lost touch with reality, the Lost In The Sauce Black Crop T-Shirt from Artist Collective was made especially for you. 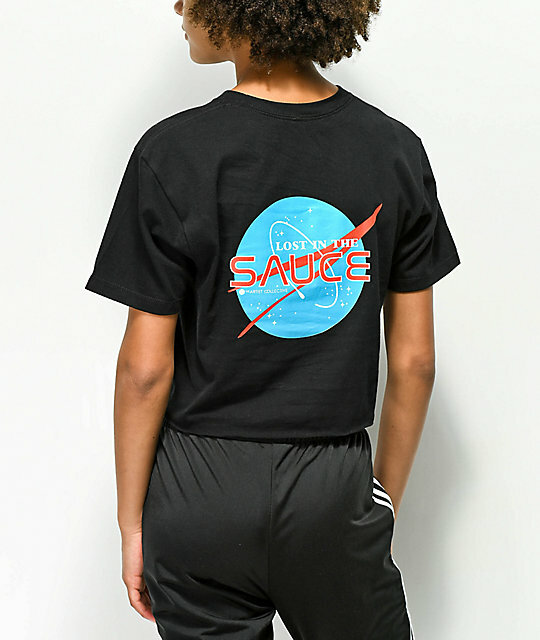 This 100% cotton tee features a crop top silhouette with matching graphics at the left chest and back of a space emblem with "Lost In the Sauce" within. 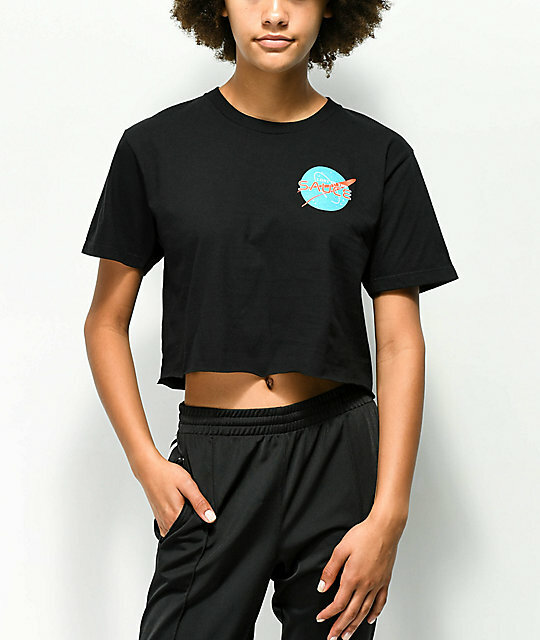 Lost In The Sauce Black Crop T-Shirt from Artist Collective. Screen printed graphic on the left chest & back. 18"(45cm) from top shoulder seam to bottom hem.